You frecuently play stage gigs standing up or you lead a percussion group and want no instruments tangling around your shoulder or waist? You change instruments a lot or play a percussion set? 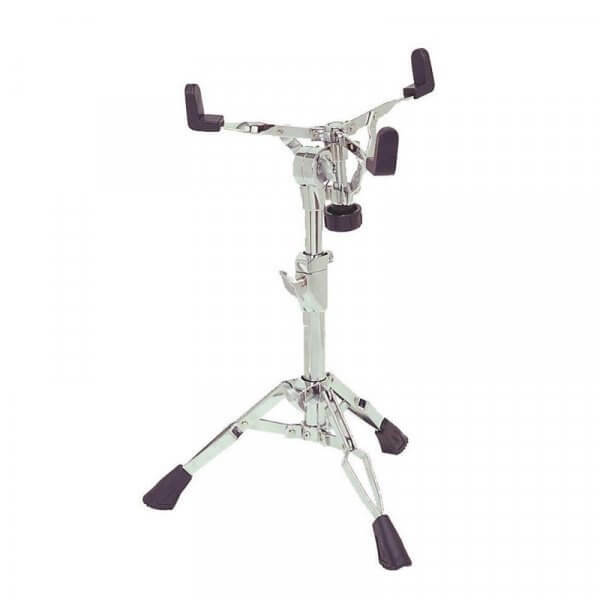 This repinique stand has the ideal hight (44m / 55cm) and together with the hight of the repinique shell has a perfect playing hight for your stage gig!